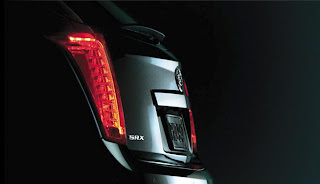 Cadillac is looking to ditch its SRX 2.8T due to flaccid sales. While the 2.8T makes a very good case for its self, producing 300bhp and 302Nm (295lb-ft) of torque, it didn’t attract many customers. A mere 10% of consumers plucked for the 2.8T, while the remainder chose the 3.0 litre 265bhp petrol engine. One possibility may be the 2.8T’s starting price of $49,915. Cadillac is looking to pull the engine as the 2012 model year comes into season.